Most wine is made in giant wine-making-factories and sold in giant stuff-selling factories, widely known as supermarkets. This is an inevitability and a necessity: there are simply too many people with too little time and too much thirst for any alternative method to work. People with slightly more time and perhaps slightly more money can choose slightly less industrialised retail environments in which to splash their wino-cash. But in some make-believe dream world it is possible, even in cold, rainy locations many miles from interesting winegrowing regions such as my own, to do at least a small percentage of your wine purchasing at the most extreme alternative end of the scale to those supermarkets. To meet a winemaker, to glimpse their enthusiasm, to be introduced to their products, to taste and to select, and perhaps, if so taken, to buy. Well I live in that make-believe dream world. 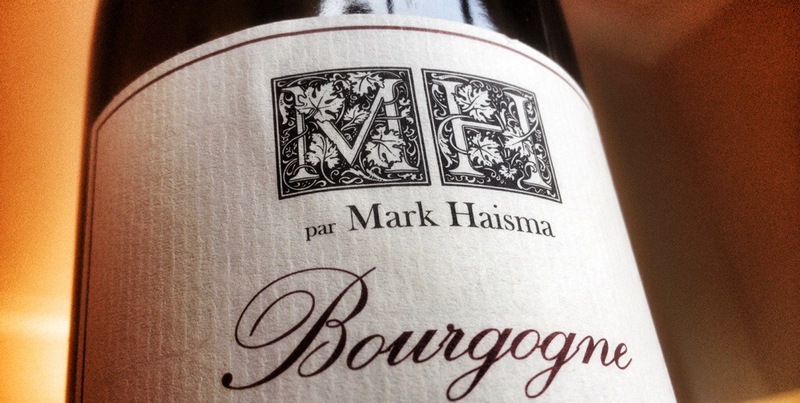 Mark Haisma is an unusual and gently inspirational winemaker: a genial Australian who has made his home in Burgundy, where he makes as much wine as he can from whatever grapes he can find and afford, and also a tiny bit of syrah in the northern Rhône. And every year he brings all his wine, and a few made by other people he likes, opens them up and asks anyone who’s interested to come along. If you like, you can buy some, and a few months later Mark himself (sometimes) will pop round in a van and drop them off. It’s a bit like going to visit him in Burgundy, only without the views or the fresh air or the driving. Much wine from Burgundy is crazy expensive, and even buying direct from a cheerful Australian doesn’t make it exactly cheap: a few bottles of Mark’s top wine, the Bonnes Mares, will eventually be found in retail establishments for around £140 apiece. 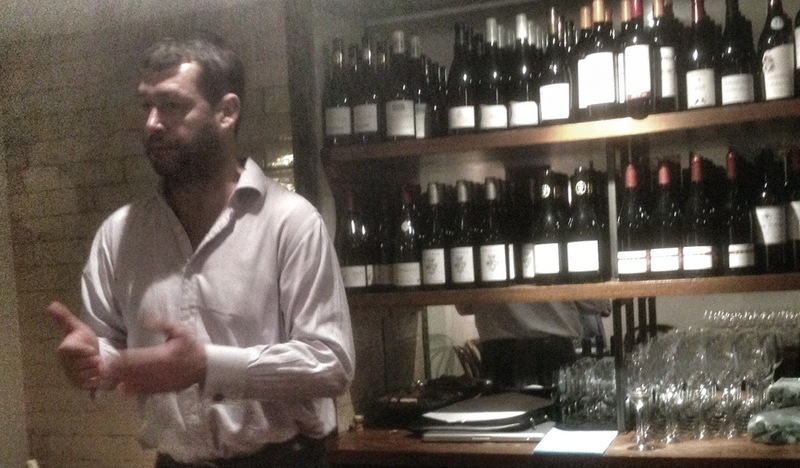 Fortunately his bottom wine, a humble Bourgogne Rouge, is a little more affordable – £14 when you buy it from him direct – and in 2012 he made a very delicious one indeed. Sure, I feel a bit of a fraud for turning up, tasting all his best wines and then only buying the cheapest one, but he seems happy enough about it, and it certainly works for me. His Morey St-Denis “Les Chaffots” is my favourite wine of the day, but at £39.50 a bottle it’s one for a genuinely make-believe dream world. Everyone’s talking about Burgundy prices at the moment, as a two-week-long festival of major en primeur tastings in London comes to an end. Big-time Burg buyers are in a state of high dudgeon, because they keep rocketing upwards (the prices, not the buyers themselves). The problem is that the last few vintages have all been troublesome, leading to less wine being made and forcing producers to raise prices to cover their fixed costs. Meanwhile more and more people want to drink the stuff, leading producers and retailers to raise prices even more than they would anyway have had to. Most drinkers will never care or even hear about spikes in en primeur pricing, and my only real worry is that the high-quality, good-value wines of the Rhône will start to get silly next, but this year I have suffered myself: Mark’s Bourgogne Rouge has gone up by £2 a bottle since I last bought some, a couple of years ago. But for all the fury and the fights over £500-a-bottle allocation-only scraps from Rousseau, De Vogüé and the like, there is still value in Burgundy: I opened a bottle of Mark’s 2010 Bourgogne Rouge over the weekend, purely for research purposes you understand, and it was in sparkling, sensuous form, as good a bottle of pinot noir as £12 could ever get you. There are other ways to meet winemakers in London – some small shops host tastings, and there are frequent trade events for those who work in the world of wine, or can sneak in on the pretext of occasionally writing an amateurish blog. I’d recommend taking as many of these chances as you can, but what sets Mark’s little event apart is that everyone is welcome – there are no tickets or guest lists or entry requirements – and nobody is expected to buy. Indeed, on the day you’re actively discouraged from buying: Mark is far too busy pouring and chatting to take orders. I just wonder how many other small-scale winemakers could sell their wines like this, direct to the consumer. By cutting out importers and retailers the customers could pay less and the producers could still make more, all while building relationships and loyalty with the drinkers who turn up. The advantages seem so overwhelming it’s a surprise more of them don’t try it: every winemaker knows the benefits of running a cellar door, offering tastings and selling direct to people who turn up at your winery, but if those people can’t or won’t come to you, there’s no reason why you can’t go to them. Sadly Mark’s wines haven’t made it to Australia as yet. I’m heading to London in a few weeks and have excitedly found a retailer stocking a few. Good read and glad to hear that even the entry Bourgogne is drinking well.